Elliot Finds A Home is a beautiful story that touches the heart, moves emotionally and pulls at the heart strings. Elliot is a dog that is different, sitting in a pet shop with no one wanting him. 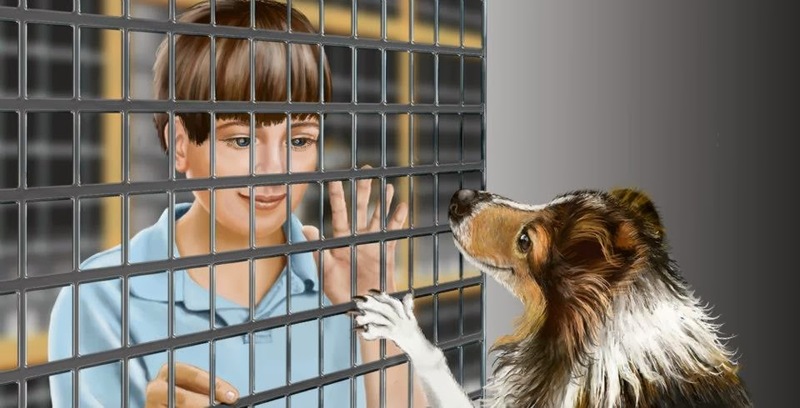 As time passes he is sent to ‘a place for unwanted puppies’. Joseph is a little boy who is different. Joseph has Autism and has never spoken or responded to his mummy and daddy. He is alone in his head. Elliot Finds A Home is a beautiful story in which Elliot and Joseph find each other, love and a friend for life. It is about acceptance of being different, finding someone you can relate to and finding your place in this world. 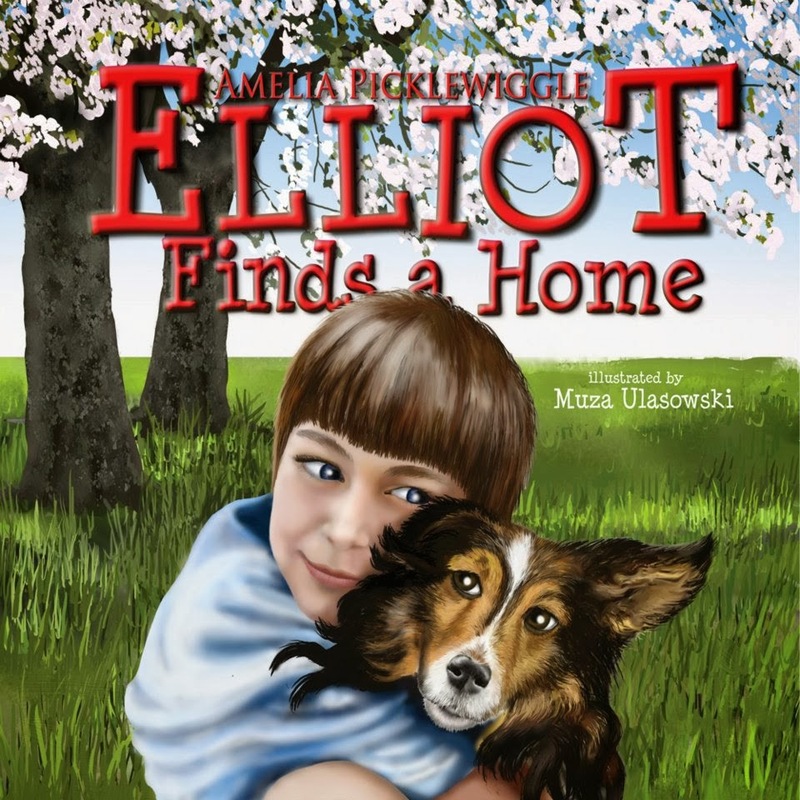 Elliot Finds A Home touches the heart in both story and illustration. It moves you emotionally regardless of your age. Throughout the reading of this story there were a lot of ooh’s and aahs coming from my 6 year old. Her facial expression and the excited conversations she just had to have with me whilst reading the book showed the emotions and thoughts that were running through her body. After reading she just didn’t want to put the book down. She carried it around for a while bringing it back to me, opening the pages to talk further about the pictures. It will surely be a favourite on her shelf. This is another high quality book illustrated Muza Ulasowski. She has yet again created a pictorial journey that breathes life, love and friendship.This book as a whole speaks of the purity of love and of home being the place where our heart is. The facial expressions of Elliot and later Joseph are just perfect, carrying through the emotions of the words written by Amelia Picklewiggle. Like all books illustrated by Muza I could feel the softness of the human skin and wanted to pat Elliot and run my fingers through his soft fur. I also wanted to wrap my arms around Elliot and Joseph and hug them tight, celebrating the love they had just found in each other. I highly recommend this book to any family with an Autistic child. I have an Autistic son, who although verbal has his difficulties and has found love and companionship in a cat. My 6 year old has heard the words Autistic used in relation to her brother but has never asked for an explanation. Elliot Finds A Home was a great resource for the introduction into Autism and how Autistic people are different. It opens the door for conversation about the companionship and comfort animals bring to our lives. This is a great resource for parents, carers and teachers and a book that all children will hug close to their heart for many years to come.